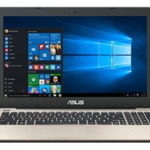 Ladies and gentlemen, today I'm going to introduce a new released laptop, ASUS F555LA-AB31, which is a 15.6″ laptop equipped with a powerful 5th-generation Intel Core i3-5010U 2.1GHz processor, 4GB RAM, 500GB 5400RPM hard drive, DL DVD±RW/CD-RW optical drive, a 15.6″ Full HD (1920*1080) screen, 802.11ac WiFi, 2 x USB 3.0, 1 x USB 2.0, 1 x HDMI and VGA ports. It comes with 1 year International Warranty with 1 year Accidental Damage Protection. Of course, the F555LA-AB31 has become a hot selling laptop at Amazon, more and more people are choosing it, so I think it's right time to introduce it to you guys today. 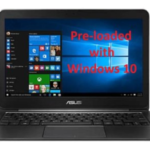 This Asus laptop is preinstalled with Windows 10 gives you a familiar experience combined with great new features like a digital assistant* and a new browser for getting things done online. It’s fast, great at multi-tasking, and even helps you stay up to date on the latest features and security. 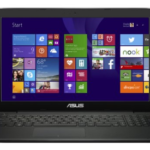 The 15.6” matte FHD display minimizes screen glare, providing a comfortable content viewing experience. Beautiful timeless concentric circle cover finish prevents scratches and fingerprints. 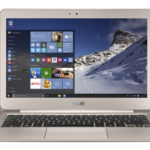 ASUS IceCool Technology keeps the palm rest area cool at all times for comfortable use. Latest 802.11ac wireless connectivity offers faster performance even at longer range. What's more, with the latest 5th generation Intel Core i3 processor, the F555 gives you the performance you need while consuming power efficiently to ensure a longer battery life. Plus, the two USB 3.0 ports – 10 times faster than USB 2.0 – lets you transfer photos, music and movies in a fraction of the time. 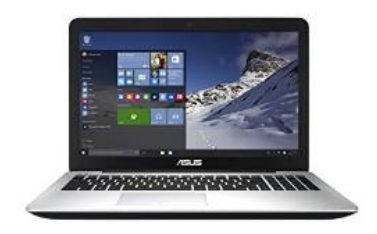 So if you are looking for an affordable for daily basic use, I think this Asus F555LA is right for you, it will meet your daily use without any problem. 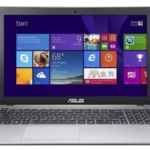 Well, what do you think about the ASUS F555LA-AB31 15.6″ laptop?